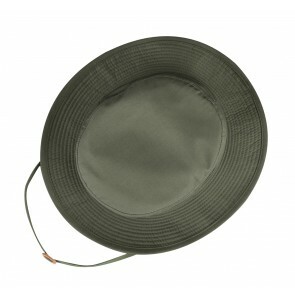 Propper’s 100% Cotton Sun Hat/Boonie is sewn to military specification MIL-H-44105B and is available in many colors. This is a lighter weight cloth in a ripstop weave that breathes well and is initially durable. Consistent with other cotton fabrics, the color will fade quickly, and over time the cotton fibers will lose their strength under industrial wear and laundering. If color integrity is an important end-user expectation, please do not choose this cloth. Returns on account of color loss are not available. 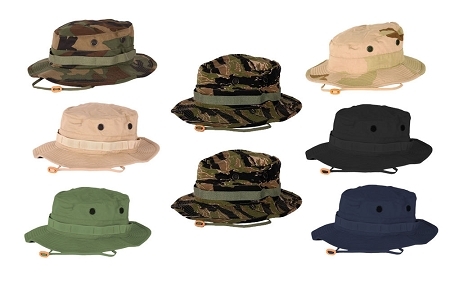 Available in Asian Tiger Camo, Black, Khaki, Dark Navy, Olive, Woodland Camo, 3 Color Desert only. This 60% cotton / 40% polyester, heavy weight cloth is also a very sturdy and long-life performer in the Public Safety community. Manufactured in a twill weave, this cloth promoted good color integrity and easy care. Available in Urban Camo, Woodland Camo, 6 Color Desert Camo only. 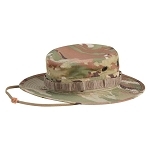 The military fabric approved throughout the Army is the 50/50 Nylon/Cotton Ripstop. This fabric is resistant to shrinking and is vat-dyed to ensure a minimal amount of fading over the life of the garment. Available in Woodland Camo, 3 Color Desert Camo, Army Universal Digital and Multicam color choices only.